Thank you for visiting Free Reign Farm! 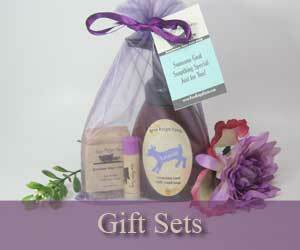 Want to learn about the ingredients in our goat milk soap and other natural skin care products? 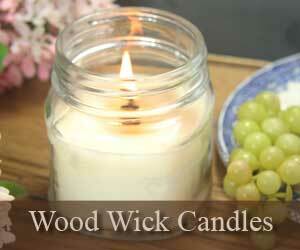 Interested in phthalate-free and paraffin-free Wood Wick Candles? Need a Gift for either yourself or a close friend? Learn about the farm, the kids, the other kids (goats), and our many adventures via our Blog. We also have a heart for foster care, adoption, and certain charities. Learn more about several of the organizations we support. Feel free to Contact Us anytime with your own stories, testimonials, or any questions you have about our products. Goat Milk: The #1 ingredient in our Goat Milk Soaps! The most unique ingredient in our goat milk soaps is not the goat milk per se, but that we use MORE farm fresh goat milk than other goat milk soap makers. Between our research and product feedback, it is obvious that the more real, farm fresh goat milk that is in a bar of goat milk soap, the better the soap is for dry skin and sensitive skin issues such as eczema, psoriasis, and acne. 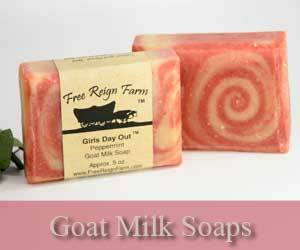 Don’t be fooled – always ask two questions any time you pick up a bar of goat milk soap: 1) Is it fresh goat milk? (Because products like powdered goat milk do exist! 2) How much goat milk is in each bar? For us, each bar contains 1.8oz per 5oz bar bringing out goat milk percentage to a whopping 36%! 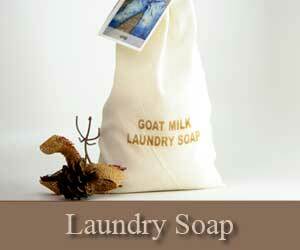 This is one of the most common ingredients used in goat milk soap making for many good reasons. 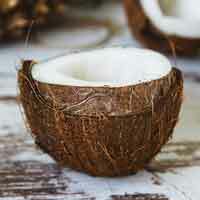 First and foremost, the amount of coconut oil that is used in goat milk soap determines, in large part, the robustness of the lather. While some people may be allergic to coconut oil and need a castile soap (See Mother’s Touch), the result of all castile goat milk soaps is a more soft, creamy lather rather than a bubble-rich lather. We also use coconut oil in our lotions, and lip balms because it has been shown to provide superior moisture and some studies suggest antimicrobial1, anti-inflammatory2 properties. Vitamin rich olive oil is a powerhouse for delivering vitamins A, E, & K along with amino acids and antioxidant properties. While olive oil was not common in American-made soaps 200 years ago, it was a staple among the Mediterranean region even further back than the 12th Century!4 Castile soap was much more popular in those days, but we wanted to bring the best that soap making history had to offer into our soaps as well. 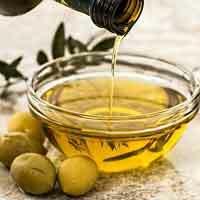 As such, olive oil is one of our top 3 ingredients in every goat milk soap bar! 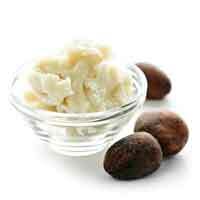 Shea butter is outstanding for moisturizing, nourishing, and protecting the natural oils of your skin. It is loaded with vitamins and fatty acids that have proven, researched anti-inflammatory properties according to a 2012 study. Other benefits that have been reported after long-term use of shea butter include skin softening (think calluses), skin strengthening, and reduced wrinkle appearance. In order to be historically accurate, we had to include this unique ingredient which was a staple throughout American history. 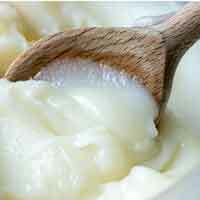 Rendered lard is a fantastic way to contribute to sustainability and minimize excess waste. We all look with pride as an American Indian utilizes even the fat and the bones from the bison he killed. In the same way, no one but a soap maker or a Mexican restaurant is able to use a substantial amount of lard to prevent waste. The soap benefits are pretty impressive too. Lard benefits in soap include good cleaning properties, stable lather, and an outstanding skin moisturizer. After learning the health problems related to synthetic fragrance oils that contain parabens and phthalates, we decided to use pure, steam distilled essential oils with COA (Certificate of Analysis). Our supplier is based out of France with a fantastic reputation for providing consistent quality for both therapeutic and cosmetic uses. Essentials oils provide aromatherapy and skin benefits that are usually not allowed to be disclosed by certain government agencies, so we encourage you to do your research on how amazing essential oil soaps can be. We have decided that an uncolored bar of goat milk soap is just boring, and there is a safer way to introduce color without having to use titanium dioxide, mica-based colors, or food dyes. So, we have colored our goat milk soaps using a combination of finely ground herbs and skin mask quality clays. In the least, it adds a mild exfoliant property to the goat milk soap. 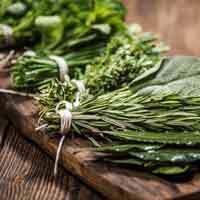 At best, you may find extra skin benefits or cleansing effects depending on which herb or clay is used. Not sure where to turn? Here’s some quick suggestions that might help. 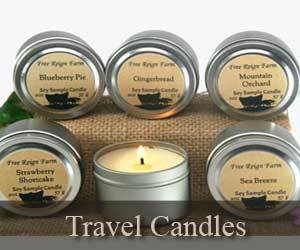 We recommend that you start off with our most simple, unscented goat milk soaps: Mother’s Touch and Gardener’s Hands. Eczema: Summer Night Walk and Promised Land work well for those with Eczema. Psoriasis: Many of our customers with psoriasis prefer Promised Land, Earth and Sky or Poison Ivy Soap bars. 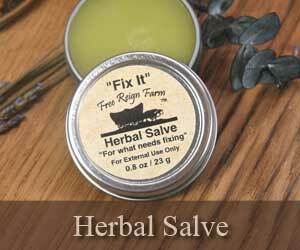 Those with skin conditions may also benefit from the use of Fix It Herbal Salve and Lavender, Tea Tree or Unscented Solid Lotion Bars to further aid sensitive skin. 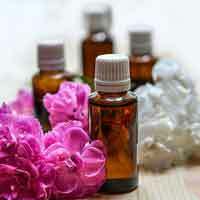 Many allergy conditions are irritated by the chemicals in everyday household products. 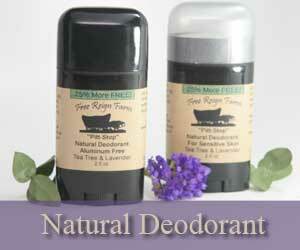 You might try natural alternatives like Laundry Soap, Deodorant, and Shampoo Bar. 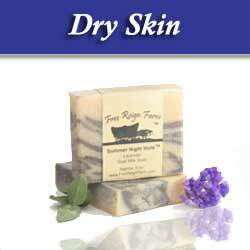 Give dry skin a good “drink” with our goat milk soaps! All of them are filled with nourishing goat milk but take an especially hard look at Gardener’s Hands, Summer Night Walk, or Mountain Goat. Be sure to avoid anything with Tea Tree! Your next step is to lock in all that moisture. 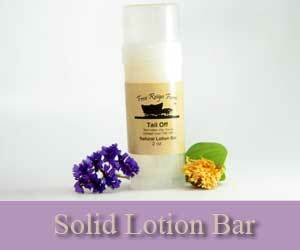 Check out our solid lotion bars made with shea butter and beeswax for an extra deep locking moisture. Hands so dry they’re cracked? Apply Fix It Salve before your lotion. 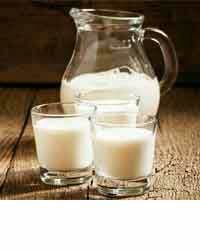 Goat Milk offers a lot of benefits to those with oily skin. See the video for a brief synopsis. While all of our goat milk soaps contain goat milk, we recommend the combination of goat milk and tea tree for best results. Check out Clean Zit or Earth and Sky. Some also have success using our Poison Ivy Soap. Don’t forget that conditions like acne are many faceted and clean alternatives like Natural Deodorant and Laundry Soaps may also be beneficial. Guys have their own unique needs! (Like not smelling like a flower!) We’ve got you covered! 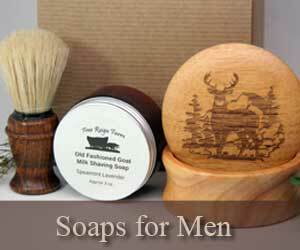 Check out our Log Cabin, Lumber Jack, or Cowboy soaps for masculine scent. 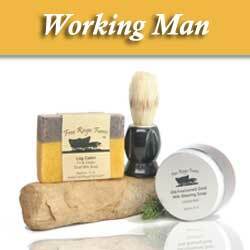 We also offer a full set of Goat Milk Shaving Soaps, Shaving Brushes, and even a natural deodorant that is tough enough for the guys. 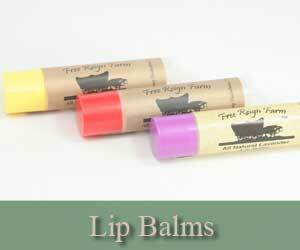 Free Reign Farm got its start with a momma looking for solutions for her family’s skin and allergy problems. What many don’t know is that our journey began with foster care. Our family has an incredible story of blessing and healing that started in ashes of brokenness. There are an estimated 700,000 children in the foster care system, each with their own story of heartache. We hope to raise awareness for these children through sharing our family’s story of healing. We also provide active help through donations to Youth Villages—the people in the trenches fighting for healing with these kids. 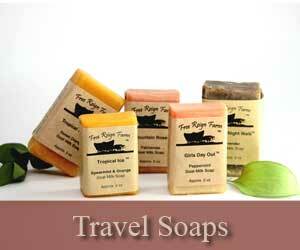 In addition, Free Reign Farm donates goat milk soap to children in third world countries through Samaritan’s Purse. 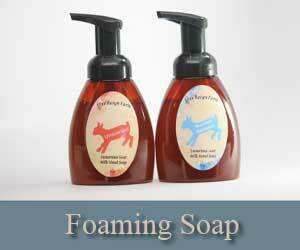 Our hope is that this goat milk soap would help them live cleaner, healthier lives. To learn more about our family’s story and foster care, Click Here.